If you follow me on Instagram or Twitter, there’s a good chance that you saw the brief video below. The video itself lasts less than 20 seconds. There is nothing fancy about it. It’s just me dropping down to perform a quick set of pushups. There’s certainly more exciting videos to be found online. I wasn’t looking for style points though. I filmed the short clip to make a point. 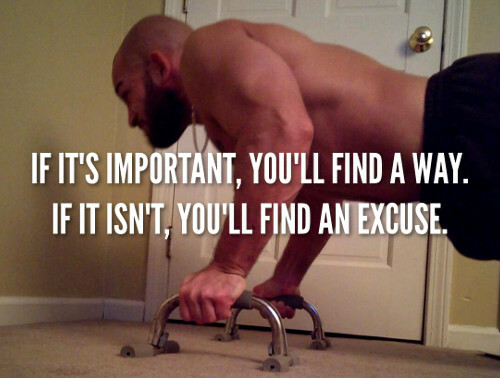 It takes less time to do a set of pushups than it does for you to explain why you don’t have time. As a father, business owner, and coach, I know all about busy times. It never seems like there is enough time to get everything done. With that said, I am fully aware that there are 86400 seconds in a day. Once again, the video above is less than 20 seconds. You don’t need to be a math expert to figure out that five similar sets would take less than 2 minutes. Does anyone honestly believe that they can’t find a few 20 second blocks throughout the day? The time is there for us all. Not everyone is willing to prioritize what they’ll do with their time however. It’s easier to sit in bed and browse through your phone. And before you get upset, I’m not here to judge you if that’s what you choose. I don’t believe in telling anyone how to live their life. Just don’t waste my time with excuses about why you don’t have time. Over the past few months, I’ve been extremely busy traveling back and forth between Ireland, England, and America. There’s been plenty of long days with limited sleep and nowhere to train but the side of a hotel bed. I always find time though. On some days, it might just be random sets of pushups, squats, and rollouts with an ab wheel. I’m not paying attention to sets, reps, or any particular routine. It’s just me cramming in whatever training I can whenever time permits. And while such an approach may not seem ideal, you’ll be surprised at how much can be accomplished when you push yourself with short sets throughout the day. As I’ve said many times before, something always beats nothing. You don’t need an hour of uninterrupted time to achieve a quality workout. To conclude this brief rant, we all have time for whatever is important to us. It just so happens that many people in today’s world haven’t yet learned to prioritize exercise. I’m not here to knock those people, but rather to help open their eyes. The busiest person and the laziest person in the world have at least one thing in common. Both operate within the confines of a 24 hour day. Both have the same 86400 seconds. It’s how you use those individual seconds that will ultimately determine what you accomplish each day (and in life). The time is there if you want it. You just need to prioritize how you use it. I couldnt agree more. There is always time. The gyms in my area are open till 10pm. I sometimes am the last one there. 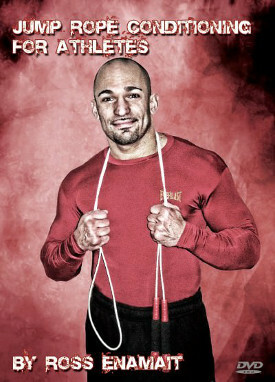 But those times I miss it I always make sure to do a set or three of some body weight exercises. Squats/push up/crunches etc. OK no comment… I am super busy with my gardening business but yeah.. its an excuse… gulp.